In brief: The normal hectic of KoFoo was compounded by some bad timing on our part. An enormous takeout order was going out as we arrive so it took forever for the food and they forgot the tofu on M's dish. 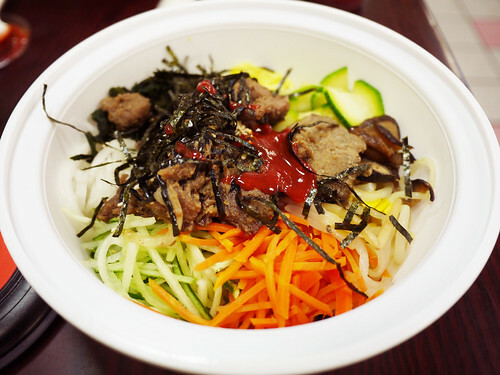 On the other hand, the bibimbap was really good today. But not enough to like dining in-house there. There is too much jostling and crowdedness to properly enjoy a meal. We're going to have to resort to take out like everyone else.